POW recommends reserving your accommodations early to insure availability and best rates. See below for discounts from selected hotels/motels. 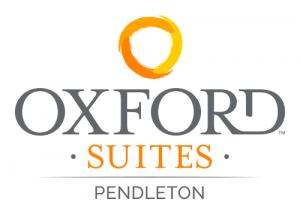 There are numerous motels/hotels in Pendleton that you can easily find online. The following list of businesses are offering you discounts for your stay. Call soon to reserve rooms! Identify yourself as a participant in the May 25th bicycle event. $55 for 1 queen bed (reg. $79.99); $65 dbl queen beds + tax, (reg. $89.99); 3 beds would cost a little more. $79 to $89 for 1 king bed or 2 queen beds. Bikes can easily be stored in rooms. Hotel is a very easy walk to everything downtown. 10% discount off room rates; the earlier you reserve, the cheaper the room will be. 10% discount off room rates. Hampton Inn Pendleton is able to offer a 10% discount off of our best available rate to guests that mention the CROC rate for May 25, and 26, 2019, for up to 20 rooms. Talk to Angelica for a 10% discount. it is a 20% discount per group if there are ten or more rooms reserved.